Hail at harvest time is every wine grower's nightmare. For Seán and Caro Feely, a couple whose love of wine led them to create a flourishing organic vineyard in France six years previously, it's become a chilling reality. But natural disasters are hardly a challenge when compared to the emotional havoc of approaching menopause and the hard work involved in keeping a long-lasting relationship fresh. Join Caro as she juggles family duties, a growing business, and the challenges of making natural wine in harmony with the environment. Could yoga be the secret to balance in life and wine? And will she reach the other side with her marriage, her farm, and her sanity intact? 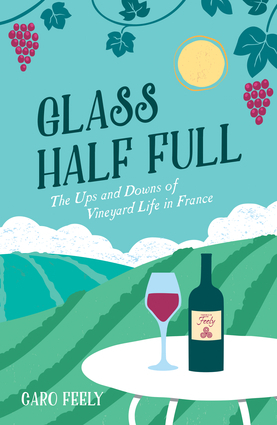 Caro Feely is an author, wine teacher, speaker on agriculture, and a biodynamic winegrower.